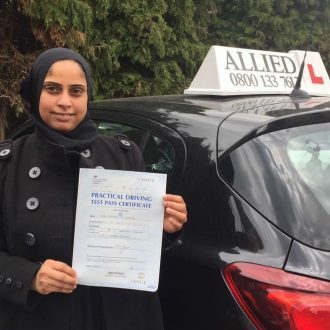 With over 18 years experience, our instructors are fully trained and ADI qualified in the tuition of both theoretical and practical driving lessons. 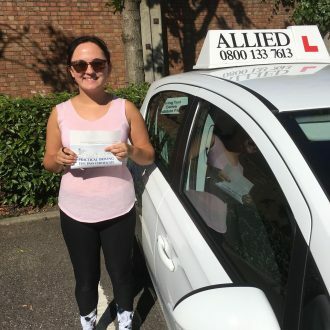 Based for test centres in Ashford Middlesex and Isleworth and Chertsey, we work within a 15 mile radius of Staines. I just passed my practical driving test, first attempt!!! I am so grateful to Inge at Allied for her dedication and patience with me. I was a beginner so she planned the best schedule to fit my needs. Everything came so naturally the day of the test thanks to the confidence and security she helped me gain during the lessons. These are lifetime skills so a big thank you to Inge/Allied. 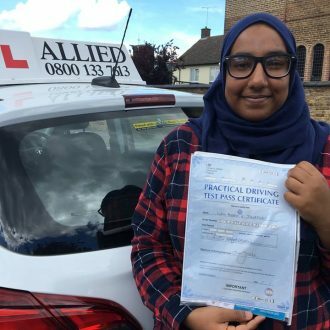 My Driving Instructor was brilliant and gave me real confidence in driving. I found the experience great and would highly recommend Rob for his teaching methods and his patience. Thank you Rob. Inge is a wonderful instructor. Every lesson was effective, she made you feel comfortable to ask questions, even if you had to repeat it a few times. This helped me to remember information that was key for me pass my test first time! 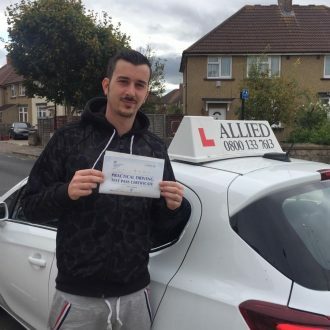 I had my driving lessons with Rob from allied, and he was definently the man for the job. Calm patient instructor who builds your confidence with every lesson. Highly recommended!!! Good quality instructor with a very good, easy to learn in car. Arranging lessons was very easy and I found my instructor Inge to be very flexible in fitting in lessons around my schedule. My instructor was very patient as it took me a long time to get to grips with roundabouts and reverse parking and would send me extra material and videos to help me understand where I was going wrong. 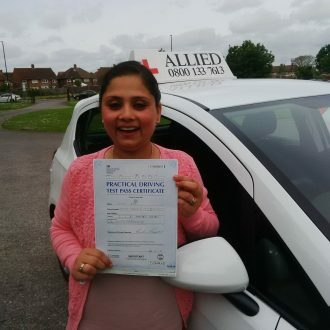 I passed my test yesterday and would recommend Allied and my instructor Inge to any one looking to learn to drive. 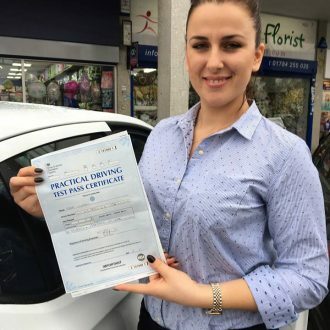 I had an excellent experience with this driving school. 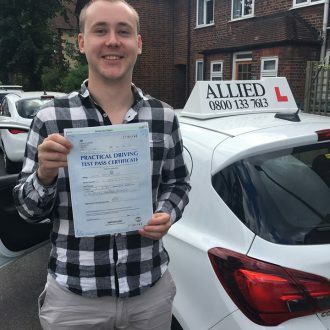 I passed with less than 15 hours of lessons as a first time driver. 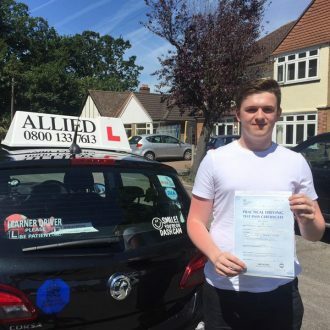 I highly recommend Allied Driving School for anyone looking for value for money and high quality teaching. Thank you Olu! 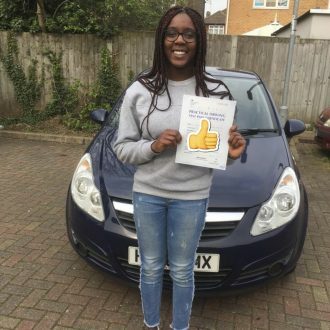 Collingwood Insurance Services offer Short Term Learner Driver Insurance policies when learning to drive in your own vehicle or someone else’s car. From 7 days - 24 weeks durations (Initial policy must be a minimum of 28 days. 7 day policy available for additional purchases). You can also insure a second vehicle for half the premium of your first vehicle when insuring both vehicles at the same time.